Diabetes is a serious disease that can develop from lack of insulin production in the body or due to the inability of the body's insulin to perform its normal everyday functions. Insulin is a substance produced by the pancreas gland that helps process the food we eat and turn it into energy. Diabetes affects approximately 16 million Americans and is classified into 2 different types: Type 1 and Type 2. Type 1 is usually associated with juvenile diabetes and is often linked to heredity. Type 2, commonly referred to as adult onset diabetes, is characterized by elevated blood sugars, often in people who are overweight or have not attended to their diet properly. Many complications can be associated with diabetes. Diabetes disrupts the vascular system, affecting many areas of the body such as the eyes, kidneys, legs, and feet. People with diabetes should pay special attention to their feet. Of the sixteen million Americans with diabetes, 25% will develop foot problems related to the disease. Diabetic foot conditions develop from a combination of causes including poor circulation and neuropathy. Diabetic Neuropathy can cause insensitivity or a loss of ability to feel pain, heat, and cold. Diabetics suffering from neuropathy can develop minor cuts, scrapes, blisters, or pressure sores that they may not be aware of due to the insensitivity. If these minor injuries are left untreated, complications may result and lead to ulceration and possibly even amputation. Neuropathy can also cause deformities such as Bunions, Hammer Toes, and Charcot Feet. It is very important for diabetics to take the necessary precautions to prevent all foot related injuries. Due to the consequences of neuropathy, daily observation of the feet is critical. When a diabetic patient takes the necessary preventative foot care measures, he or she reduces the risks of serious foot conditions. Diabetes often leads to peripheral vascular disease that inhibits a person's blood circulation. With this condition, there is a narrowing of the arteries that frequently leads to significantly decreased circulation in the lower part of the legs and the feet. Poor circulation contributes to diabetic foot problems by reducing the amount of oxygen and nutrition supplied to the skin and other tissue, causing injuries to heal poorly. Poor circulation can also lead to swelling and dryness of the foot. Preventing foot complications is more critical for the diabetic patient because poor circulation impairs the healing process and can lead to ulcers, infection, and other serious foot conditions. Rocker Soles designed to reduce pressure in the areas of the foot most susceptible to pain, most notably the ball-of-the-foot. Firm Heel Counters for support and stability. If you are a diabetic, you should be particularly alert to any problems you may be having with your feet. It is very important for diabetics with neuropathy to take necessary precautions to prevent injury and keep their feet healthy. If you have diabetes and are experiencing a foot problem, immediately consult your foot doctor. Make healthy lifestyle choices to keep your blood sugar close to normal. Work with your health care team to create a diabetes plan that fits your lifestyle characteristics. You may have foot problems that you may not be aware of. Check your feet for cuts, sores, red spots, swelling, or infected toenails. Checking your feet should become part of your daily routine. If you have trouble bending over to see your feet, use a plastic mirror to help. You can also ask a family member to help you. Important Reminder: Be sure to call your doctor immediately if a cut, sore, blister, or bruise on your foot does not heal after one day. Wash your feet in warm, NOT HOT, water. Do not soak your feet because your skin will get dry. Before bathing or showering, test the water to make sure it is not too hot. You should use a thermometer or your elbow. Dry your feet well. Be sure to dry between your toes. Use talcum powder to keep the skin dry between the toes. Rub a thin coat of skin lotion or cream on the tops and bottoms of the feet. Do not put lotion between your toes, because this might cause infection. Wear shoes and socks at all times. Do not walk barefoot, not even indoors. It is extremely easy to step on something and hurt your feet. Always wear seamless socks, stockings, and nylons with your shoes to help avoid the possibility of blisters and sores developing. Be sure to choose seamless socks that are made of materials that wick moisture away from your feet and absorb shock and shear. Socks made of these materials help keep your feet dry. Always check the insides of your shoes before putting them on. Make sure the lining is smooth and there are no foreign objects in the shoe, such as pebbles. Wear shoes that fit well and protect your feet. Always wear shoes at the beach or on hot pavement. Put sunscreen on the tops of your feet for protection from the sun. Keep your feet away from radiators or open fires. DO NOT use hot water bottle or heating pads on your feet. If your feet are cold, wear seamless socks at night. Lined boots are good to keep your feet warm in the winter. Choose socks carefully. DO NOT wear socks with seams or bumpy areas. Choose padded socks to protect your feet and make walking more comfortable. In cold weather, check your feet often to keep your feet warm avoid frostbite. Put your feet up when you are sitting. Wiggle your toes for 5 minutes, 2 or 3 times a day. Move your ankles up and down and in and out to improve blood flow in your feet and legs. DO NOT cross your legs for long periods of time. DO NOT wear tight socks, elastic, or rubber bands, or garters around your legs. DO NOT wear restrictive footwear or foot products. Foot products that can cut off circulation to the feet, such as products with elastic, should not be worn by diabetics. DO NOT smoke. Smoking reduces blood flow to your feet. If you have high blood pressure or high cholesterol, work with your health care team to lower it. Ask your doctor to plan an exercise program that is right for you. Walking, dancing, swimming, and bicycling are good forms of exercise that are easy on the feet. Avoid all activities that are hard on the feet, such as running and jumping. Always include a short warm-up or cool-down period. 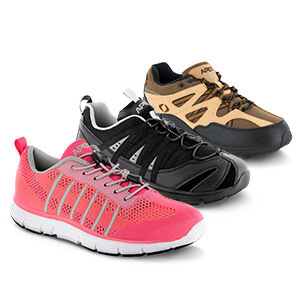 Wear protective walking or athletic shoes that fit well and offer good support. Ask your doctor to check the sense of feeling and pulses in your feet at least once a year. Ask your doctor to tell you immediately if you have serious foot problems. Ask your doctor for proper foot care tips and for the name of your local podiatrist. *If the problem persists, consult your foot doctor.